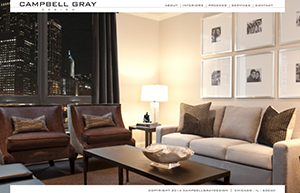 Design Burd Inc.An Innovated All Photographic Layout | Design Burd Inc.
Campbell Grey is a fantastic interior designer and we're so happy to create this customized WordPress site for him. We took the opportunity to take photos of his work and edit them ourselves to help complete the look and feel of this all photo layout. We've also built in customizable portfolio editor so that our client can always update the website on their own.